On February 27, Pope Benedict XVI addressed the faithful in his last General Audience saying, “The Lord is calling me to ‘climb the mountain’, to devote myself to prayer and meditation.” In that moment, I believe he was giving a nod to one of his predecessors, who truly desired to climb back to his mountain retreat and retire to a life of prayer and meditation. 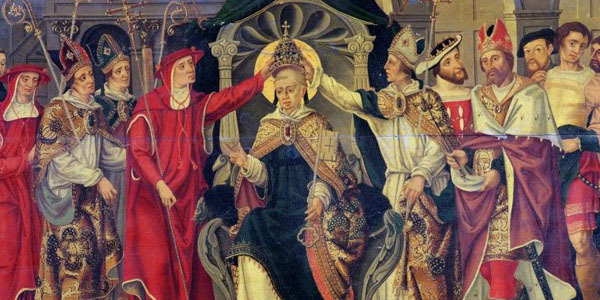 Over 700 years before Pope Benedict XVI, another man, a saint, Celestine V resigned the papacy amidst intrigue, infighting, and chaos after a brief five months in the Chair of Peter. In this SaintCast, we interview author and historian Jon Sweeney, whose biography of Celestine V “The Pope who Quit” was just published in 2012. Pietro Angeleri, also known as Peter Morrone, was born of a poor peasant family in central Italy, south of Rome in 1210. Much of what we know about his early life is chronicled in an ‘autobiography’ that he left behind. His father died when he was a young man, leaving his mother to raise 11 other children. As Peter grew in wisdom and charity, he discovered his vocation to monastic life in the order of St. Benedict, and ultimately was ordained a priest at age 27. 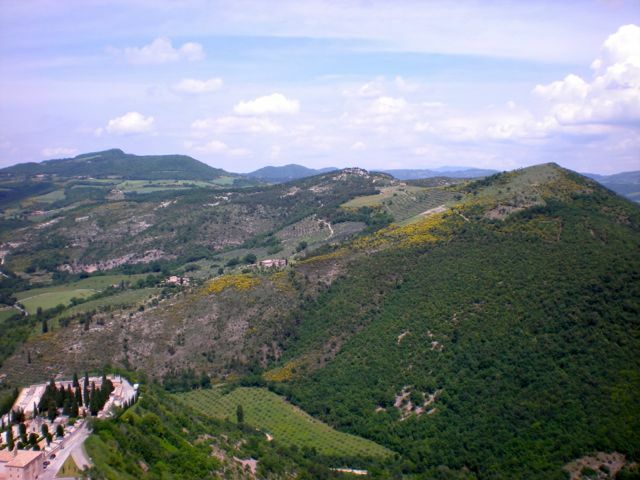 He was given permission to begin life as a hermit, apart from the community of monks, in the caves and grottoes of the 7,000 foot peaks of the Morrone mountains. As more and more brothers began to follow his lead and seek his counsel, he fled deeper into the mountains at Majella. Eventually he gathered a band of monks who sought his tutelage and wisdom into a new religious order, which he called the Hermits of St. Damian (after Peter Damian). They would eventually be called the Celestines, after the name he chose as pope, and become a part of the Benedictines. For decades he traveled far and wide in central and southern Italy, establishing monasteries and churches, developing an incredible reputation for sanctity. He even traveled on foot to the Council of Lyon where he sought permission from the Council Fathers to establish his religious order. 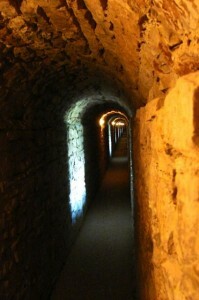 This was the same Council that Aquinas was planning to attend when he died en route at Fossa Nuova. 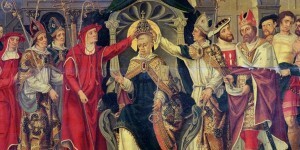 So when at age 84 Peter wrote to the College of Cardinals who were deadlocked now for 2 years at Perugia unable to chose a successor to Nicholas IV, his reputation was well known. When he warned the cardinals that they had better chose a successor soon, he was selected as the next pope by acclamation! When the delegation climbed the craggy peaks to his grotto to bring him the news and convince him to accept the election, he tried to refuse and flee. At the urging and pleas of his brother monks, as well as the Kings of Naples and Hungary, he reluctantly accepted. He was crowned at Aquila, never actually even making it to Rome, before moving to Naples to live at the Castel Nuovo palace of Charles II, the Angevin ruler of Naples, who quickly and forcefully exerted his influence. After a life of seclusion and prayerful meditation, Peter quickly found that he was hopelessly out of place in this world of intrique, internecine quarrels, and unscrupulous curial personnel. In his brief 5 month reign he reinforced the law that popes must hence forth be selected in secret conclave. After a short while, he had a small separate cell constructed on the grounds of Charles’ castle where he would live, secluded and in humble settings, while he consulted with canon lawyers about the legality and propriety of a possible resignation. Finally, on December 13, 1294, he resigned after only 5 months and 9 days of his papacy. He tried to retire and climb back to the mountain grottoes where he had spent so many decades in prayerful contemplation, but was captured and imprisoned until his death in May of 1296, by the next occupant of the papal throne, Boniface VIII. Jon Sweeney began his biography of Celestine while a Protestant, but gradually, as he researched the story of Peter Morrone, he realized that he was inching closer to the Catholic faith, until finally he was received into the Church as the book was completed. Sweeney, no stranger to medieval research and scholarship, paints a vivid picture of the culture and history of the times. From his careful review of period documents and his experience in studying the Franciscan movement of the 13th century, he is able to give the reader a look into the personalities and the political intrigue in both ecclesial and secular circles. The reader feels empathy and admiration for this saintly man, thrust into an untenable situation when perhaps the only saintly thing to do, was to resign the papacy.